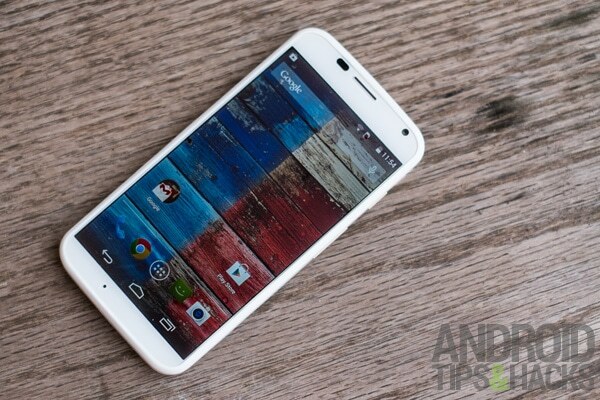 The Moto X and Moto G are two of the best Android smartphones, combining great performance, design and value. However if they have a weakness it’s in their lack of a memory card slot. This can be a problem especially on the Moto G, the cheapest version of which has just 8GB of storage, and only around 5GB available to the user. On the G storage really is at a premium, as it can get filled up very quickly. 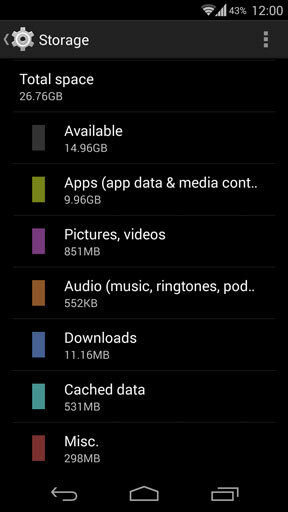 It is possible to free up some space on your Moto device by clearing the cache. The cache is an area where apps and the OS store data temporarily so that they can retrieve it more quickly later. It grows over time, and eats up valuable space on devices with limited storage. There are two ways to clear the cache. The first is a simple method available in the Android OS; the second uses a third party app and gives you greater control of exactly what you are deleting. We’ll look at both techniques in this tutorial. Clearing the cache on a Moto G or Moto X is very simple. Go to Settings > Storage and you will see a breakdown of how the storage on your device is being used. Scroll down to where it says Cached data, tap it then tap OK to confirm. The cache will now be cleared. Note that this won’t include things like game saves or downloaded music within a streaming app like Spotify. For greater control over what you are deleting download and install Clean Master from the Play Store. The app is free. Launch Clean Master and tap Junk Files. The app will now calculate how much space is being used not only by the cache, but by unused files and folders such as the remnants of uninstalled apps. From the results screen that opens the first category is called Memory boost and lists apps that can be closed to free up RAM. You can leave this ticked if you want, but can ignore it. The next category is Cache junk. This shows the contents of the cache, and what is in it. Leave all of this ticked. Scroll down further to the next category, Residual junk files. This is stuff that has been left over from uninstalled apps. Double check that there’s nothing listed here that shouldn’t be, but this is also safe to delete. Now tap Clean Junk to clear everything that was ticked in the above categories. You can also use Clean Master to tidy up the rest of your storage area. Tap the Advanced button to scan the storage—from the results screen you’ll see all your big files and folders listed. They will include useful things like gallery thumbnails, which will make your photo album load faster, as well as game downloads and movies. Be careful about anything you choose to delete from here because you cannot undo the action once it has gone.